Born in the Red River Settlement on 17 June 1832, son of James Fraser and Anne Bannerman, he married Annie, daughter of John and Ellen (Helen?) (Matheson) MacBeth. They had no family, but reared a nephew and two nieces, W. R. Sutherland, Jemima Matheson, and Christianna Margaret MacBeth. He was educated at Pritchard School and St. John’s School and Academy. 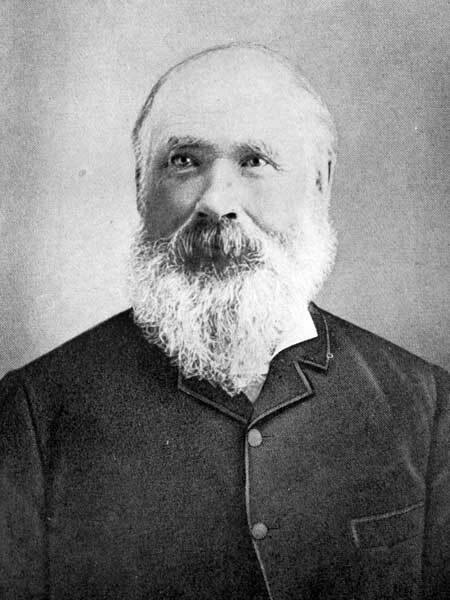 Fraser was treasurer of the trust committee formed to establish the Presbyterian congregation in Kildonan, and he continued as treasurer of the church for over 40 years. He was chairman and treasurer of the committee to establish Manitoba College, was Reeve of Kildonan twelve times, always elected by acclamation. He was for many years secretary-treasurer of the board of trustees of the parish school, which he helped to build. He was appointed Road Superintendent for the Middle District in 1863 at a salary of £15 per annum. He was a member of the Council of Assiniboia from 1868 to 1870 and then became a member of the North West Council. In 1882 he sold part of the farm property, Rose Cottage, which was moved to the Lower Fort Garry historical site in 1969. He moved to the east side of the river in what became known as Fraser’s Grove, where he died on 9 September 1909.